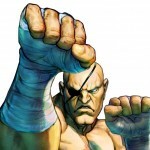 5 Real Life MMA Signature Moves Given To Street Fighter Characters! If you were born in the eighties or early nineties then read on, as some of the references may be lost to those born either side of those decades! Meant as a bit of fun, we’ve read up on a few fictional character / real life mma fighter cross over style articles and they always spark up a bit of a debate with MMA, computer game and movie fans alike. In our article, we’ve picked out five of the most feared signature techniques from the real world of MMA and chosen five fighters from the fictional Street Fighter Computer game series to give them to. This move would definitely go to Muay Thai master, Sagat. There’s a distinct similarity between the fictional characters ridiculously powerful quads and those of the real life former UFC and Pride legend! 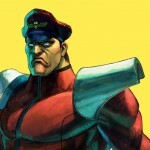 Not to mention, that one of Cro Cop’s nicknames is ‘Tiger’… Street Fighter fans will see the link here. We have attributed the devastating clinch of the Brazilian supremo to, Adon, another Muay Thai champ from the Street Fighter series. 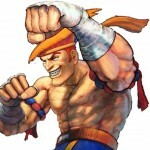 Similar to ‘The Spider’, Adon combines, speed, power and accuracy, and the inclusion of a lethal Muay Thai clinch would fit in quite nicely in to his repertoire of moves. We thought about giving this one to Sagat, but he already has the Tiger Knee move so we thought we’d spread things around a bit. Making use of M Bison’s strong leg power, coupled with the fact he wears some kind of metallic shin and knee guard, who else is better suited to deliver the feared, cutting knee attacks of the ‘Axe Murderer’!? 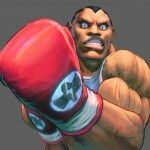 Punching power master, Balrog, would be the perfect character to have Rutten’s fearsome Liver Shot added to his arsenal. With power and technique to execute this fight ending technique, we just need to work Balrog’s ground game a bit more now to make a more well rounded fighter! 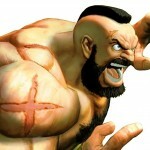 With more than just the Russian connection, this move has to go to Zangief. The fictional fighter mixes his predominant wrestling style with Sambo and has similar natural power and size as the ‘Last Emperor’. There would need to be some re-writing in to the background story of Zangief with regards to where he learned the move, although, he may have come up with it himself when wrestling the odd bear in his spare time! If you believe some of the obviously photoshopped memesAi? ?on the internet then they’d have you believe that this is also a popular past time for the great Fedor himself too! We’ve covered a fair few disciplines but the list could go on with more comparisons if we had the time. If you liked this article you need to check out the artist’s Bryan Lee’s ‘Ryu vs. Lyoto….’ article on the Fightland blog, you definitely won’t be disappointed. Getting back to reality, don’t forget that we also cover the most popular martial arts disciplines here at MMA Fightwear, with our extensive range of fight equipment and apparel! This entry was posted in Martial Arts Trivia and Facts and tagged Anderson Silva, Bas Rutten, Fedor Emelianenko, Mirko Cro Cop, Street Fighter, UFC Signature Moves, Wanderlei Silva on 4.11.2014 by MMAFightwear. The film stars Bruce Lee, there’s a good enough reason for anyone. The film was the first Chinese martial arts film to be produced by a Hollywood studio and went on to be a box office smash, paving the way and setting the bar high in terms of quality for future movies in this genre. Whilst the storyline may not have been anything spectacular in terms of originality, there were some aspects of it that there were quite potent at the time the film was shot. The back story about the sister of Bruce Lee’s character killing herself in the face of being raped by Han’s henchmen was quite a statement. In addition to this, fellow leading character, ‘Williams’, being on the run after beating up a couple of white racist cops back in America highlighted the tensions of the civil rights movement in 1970’s America. 4 – Those Kempo Gloves! Made famous to a wider Western audience by Bruce Lee in his films, his good old Kempo, Kenpo or JKD Gloves, whatever you want to call them, look so cool. 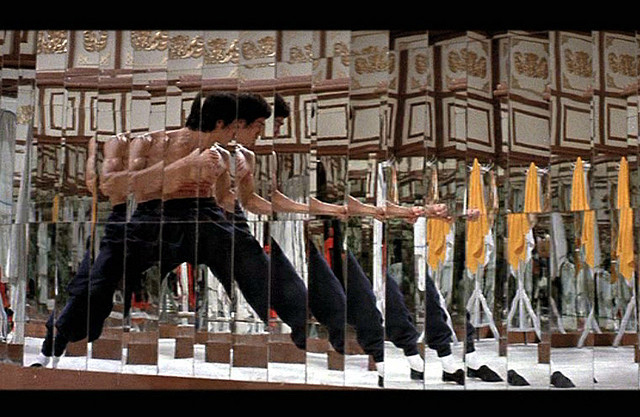 Sporting the now famous open slashes across his torso in a James Bond style showdown with the big boss of the film, Lee smashes his way through the mind bending maze of walled mirrors to confront and defeat the claw handed Han. The plot might not be revolutionary, but what is not to love about a Chinese martial arts expert working as a British spy infiltrating a secret drug factory on an island, via the means of a martial arts tournament organised by a megalomaniac with a prosthetic clawed hand?! There are few moments of Bruce Lee’s philosophical wisdom on display in this classic movie, but our favourite has to be the “ai??i?? don’t think, feeeeelai??i? ?” moment, when he instructs a young student on nurturing “ai??i? ?emotional content – not anger!” in to his technique. Without going in to the now tiresome debate of “how would Bruce Lee perform in the UFC today”, there’s no doubting his influence on MMA. Yellow Gi’s and black belts – a colour combination following in the foot steps of that now famous black and yellow jump suit as worn by Lee in the Game of Death. This super cool colour combo is now commonly used by many sports brands, such as the Hayabusa Limited Edition Black and Yellow Ikusa Gloves, and even though the brands may not have meant it to, for us, it will always pay homage to the master himself. The two main characters from the epic 1980’s video game, Double Dragon, are named after “Roper” and “Williams”, the two main co-star characters from Enter the Dragon. This entry was posted in Martial Arts Trivia and Facts and tagged Bruce Lee, Enter the Dragon, Martial Arts Films, MMA Films on 21.08.2014 by MMAFightwear.